1.4 million people. There are several funeral homes throughout Oklahoma City, located in the central region and downtown. Others are scattered on the east and northwest sides of town, serving the diverse population of the area. Nearly half of the residents in the area identify with a Protestant faith, while about five per cent attend a Roman Catholic Church. Smaller numbers identify with the Jewish, Latter-Day Saints, Islam or Eastern religions. Funeral homes in Oklahoma City may have extensive experience catering to different faiths and beliefs, but be sure to enquire if they can meet your specific requirements. For those arranging funerals in Oklahoma City, burials usually take place in established cemeteries throughout the area. 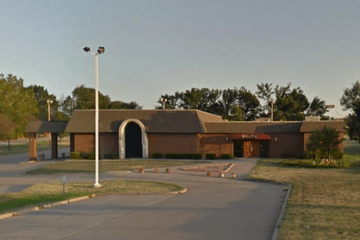 Spring Creek Memorial Cemetery is located in the northwest region of Oklahoma City, and Hillcrest Memorial Gardens serves the needs of families on the east side. Sunset Memorial Park Cemetery is available in southside and the Fairlawn Cemetery Association can be found downtown. Home burials are a possibility if local zoning rules allow, but this option should be discussed with your chosen funeral home. If you choose cremation, ashes may be kept at home or placed in an established crypt, niche or grave. Ashes may also be scattered in public or private property with permission. Oklahoma City funeral homes offer a variety of services to meet the individual preferences and budgets for grieving families. Funeral directors are well trained in helping families work through difficult times and can suggest comforting ways to remember and celebrate the lives of loved ones. Search now using your area or ZIP code to find local funeral homes in Oklahoma City. You can filter search results by best rated, most reviewed or nearest to you to quickly and easily compare Oklahoma City funeral homes. Simply click on a funeral home’s profile to learn more about the services they provide, read customer reviews, and find contact information to begin making arrangements for your loved one.